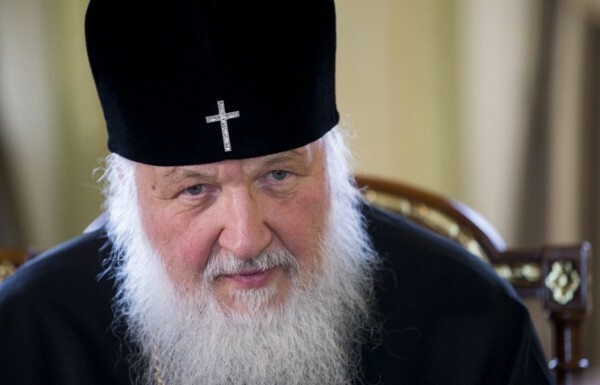 The head of the Russian Orthodox Church, Patriarch Kirill, of Moscow and All Russia, is reflecting on matters eternal and personal during the Great Lent. – Your Holiness, could you please tell us where truth should be looked for these days, and who has the monopoly on truth? – You have turned to the philosophical aspect of the issue right away, but my question was about very down-to-earth matters, about what truth means for you personally. – I will certainly tell you, but first let us be finished with the previous question. Of course, the absolute truth does exist. It is the Law of God. God gave us, humans, freedom and the feeling of morality, which is embodied in consciousness. But both can be used in different ways. It is important to realize: without God the absolute truth is impossible. Nor is there a different understanding of justice. In the modern world this word is often uttered thoughtlessly. Abusing the weak is wrong. So is theft. But where is this proclaimed? What if my truth denies yours? Say, I am strong and for this sole reason I can hurt anyone else and lay hands on anything that may come my way. Do you see my point? By denying the divine truth we ruin the world. This is not even a mistake but the deepest tragedy of philosophical liberalism. Please do not confuse it with economic or political liberalism – these are superstructural ideas, while philosophical liberalism is fundamental. It is focused on personal freedom as on absolute truth.The freedom of each single individual should not be in conflict with civilization in general. And now about some very earthly matters. Quite often we mention the risk of freedom being turned into arbitrariness. This may be possible, if there is no safeguard, if there is no yardstick of truth. But when there is the divine truth, the human understanding of truth can be compared with it. This gives us the right to say: “Stop it. It is wrong.” It is the law of morality that makes us feel the pangs of remorse. – Not all of us. The one who is unable to tell good from evil is morally ill. The divine law is clear and easy to understand. It was written down under Moses, but people had been trying to follow it much earlier. Wrote Apostle Paul: “Gentiles that have not the law by nature do what the law requires.” God made the moral law part and parcel of the human nature. Even at the dawn of civilization, in the pagan days and in other historical eras humans never doubted what is good and what is bad. – That’s an entirely different matter. It is a question of how the divine law is transformed into reality and of the way human beings live on Earth. – Can one be too late for repentance? But it is never too late to repent. We remember very well that the villain, crucified on Mont Calvary on the Savior’s right hand side, at the last moment of his life repented in keeping with his faith, and was forgiven and allowed to enter the Kingdom of Heaven. It is extremely important to ensure repentance should not be turned into some lifeless, formalistic ritual. Such situations do occur in our daily routine once in a while. Some priests are in the habit of reading out a list of sins to those who have come to Confession. To an extent this happens because many still have no idea what real repentance is. So even the most pious people, in particular, very old women, can be heard saying: I’ve sinned, I’ve sinned, I’ve sinned… Even though the priest may mention sins they have never heard of and by no means could have committed them even in the most terrible nightmare. – Not exactly. They are expected to confess. So they confess. It’s a ritual. Although in reality repentance is a great and intricate internal effort, self-analysis, impartial glance at one’s own self, face to face with one’s own conscience. When a person comes to Confession, he or she just completes this work and is held accountable to God. And this is very important for retaining the relationship with God. The sin is the sole obstruction that can impair this connection. Neither some rational doubts, nor something else, but the sin. An unrepented sin is like a wall of ferroconcrete God’s grace is unable to get through. In response to our repentance God’s grace heals us and we are granted the forgiveness of our sins. Do you know what repentance is like to me? The one who has lost this ability is like a piano player who no longer has ear for music. In principle, it may be possible to perform a music piece using the notes only, but the impression will be terrible. Repentance is like continuous self-tuning, an opportunity to take a critical look at one’s actions and to avoid mistakes. The one who stops repenting also stops developing and perfecting oneself. Figuratively speaking, such a person loses the ability to hear and begins to feel utter confusion about the sounds, noises, bombastic words and rhetoric, which sometimes have disastrous effects on our life. In religious tradition repentance involves very specific action. In Christianity it is the sacrament of confession, which helps a human being to develop the ability to repent, to keep one’s finger on the pulse and to control one’s moral condition. Doubts, you say? Of course, I have doubts. If the ability to take a critical look at the reality is lost – and this always involves doubts – there emerges the risk of committing many mistakes. But without that it is hard to move forward. – Don’t you feel this sort of impairment? – I am not in the position to judge. – You’ve mentioned conscience and the need for living in harmony with it. At a time when money and careers have become the chief benchmarks in life this sounds utopian. It’s like a beautiful bow on a fashion monger’s dress – desirable but not very necessary. In a word, civilization lacked the strength to leave the vicious path and then God punished the human race, leaving alive only one pious family. Also, God promised to never punish the human race again. True, the Divine Punishment is a super-natural correction of our life path. The Holy Fathers say: if God does not visit you when you are sick or in grief, this means He has turned away from you. But if in response to your prayer and faith God sympathizes with you, He corrects your actions. Many people feel that very well. Possibly, in this particular case it would be inappropriate to speak about my own self, but I can tell you that in my lifetime there have been such supernatural interferences involving grief, emotion and suffering. – Would you share some of your recollections on that score with us, Your Holiness? – I would prefer to keep quiet about some things, if you don’t mind. What I’ve just mentioned occurred back in the Soviet period. At a certain point I developed problems in relations with the authorities of the city of Leningrad. It was a no easy time at all. In secular terms that could have possibly been described as a hopelessly ruined career. In December 1984 I was dismissed from the position of the rector of the Leningrad theological academy and seminary and moved to a provincial see in Smolensk. My demotion and transfer alone were not the biggest problem, though! 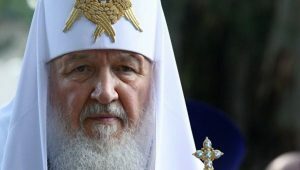 At the then very influential organization called the Council for Religious Affairs I was told something like this: “You should always remember that you are the last in line, the worst bishop of the Russian Orthodox Church. And you will remain so. Your task will be to stay quiet in Smolensk, to follow in the others’ footsteps and to master the skill of building relations with the authorities in a society that does not pin its future on religious faith.” That’s the sort of instruction I heard then. – Did you heed the advice? Hadn’t I been sent to Smolensk, I would have hardly explored Russia’s remote provinces and got familiar with the realities of Russia’s parishes and dioceses of the Russian Orthodox Church. It took seeing and walking those dirt roads, witnessing the life of poor parishes that had opened after World War II only to lead a squalid existence in semi-ruined buildings, to experience the every-day life of our villages with all of their numerous problems to realize one simple thought: Russia is much wider than Moscow and Leningrad. God helped me discover those realities and gain experience, which I would have never obtained otherwise, had I stayed in my habitual environment. – Your fall into disfavor is said to have followed public criticism of the decision to move Soviet troops into Afghanistan in 1979. Rumor has it the KGB and the Communist Party’s Central Committee got very angry about that. – You know, I was acting from the standpoint of common sense. I was more or less familiar with the history of the state of Afghanistan and the way relations between Britain and Russia had unfolded over many centuries against the backdrop of both empires’ southbound expansion and London’s determination to stop our movement towards Kabul at any cost. I was unable to get rid of the firmest conviction that the introduction of the limited Soviet contingent to Afghanistan was a tremendous historical mistake that would cost us very dearly. I was pretty certain that it should have never been done. Not that I professed some oppositionist ideas or dissident views. Far from that. I only had my own conscience and knowledge to rely on. When the World Council of Churches gathered for a session in order to express its attitude to the Soviet Union’s actions in the territory of a neighboring state, I was one of those who authored the draft of the final resolution. I volunteered to co-author it, for I was well aware that otherwise excessive politicization would be unavoidable. Of the three terms proposed for describing what was happening – “aggression,” “invasion” and “intervention” I selected and insisted on the latter. I thought that it would sound far milder than “invasion” or “aggression” – the words proposed by other delegates. It did not realize that to our people the Russian equivalent of “intervention” had a far stronger and harsher meaning. That explains why the authorities in Moscow reacted the way they did … Then there followed what Air Force pilots would possibly call “post-flight debrief.” Its outcome was one of the reasons why I was dispatched to Smolensk. – And who explained to you that you, so to say, don’t love your motherland strong enough? – The secular authorities. In those days the Church had no freedom to make personnel decisions entirely on its own. – Oleg Kalugin, a former KGB general turned US citizen, is said to have played a role. – Have you ever met the man personally? – Never in my life. I saw him in Geneva, where I was on a mission in the early 1970s. Our paths crossed a couple of times on the premises of the Soviet Union’s mission at the UN office. Adulation surrounded Kalugin wherever he went, so I realized he was a very big boss. At that time I could not have imagined the role that man would play in my life. – I have never thought about that in such terms, whether it was good or bad for me. Metropolitan Nikodim was a man of great authority and respect, and I would have never dared argue with him or make any objections. I thought: that means it is destined to happen this way. At this point I would like to remark that my work at international organizations was worth another university course and that it would help me a great deal in the future. It was a unique experience. Those familiar with the geography of the French-speaking part of Switzerland surely know that the distance between Geneva and neighboring Lausanne is just 60 kilometers: a thirty minute ride by car. But the first chance for going to Lausanne offered itself only when I was in my second year in Switzerland. Before that I had absolutely no spare time for sight-seeing. Too many tasks had to be attended on site. Firstly, I worked really hard to brush up my English. Secondly, it took me a while to get used to the specifics of the work there and become accustomed to the Anglo-Saxon style of conducting meetings and sessions. Later, when the Soviet Union had already entered the perestroika era, whenever I watched televised debates at the congresses of people’s deputies, I often had the thought the then Soviet officials lacked the skill of moderating discussions. In Geneva, I had been able to gain first-hand experience of that kind. It has turned out that even such a minor technicality is extremely necessary and crucial for a bishop in doing his service. I feel no regrets that instead of Oxford I went to Geneva. – Four years later you returned to Leningrad (currently St. Petersburg) and at the age of 27 took office as the rector of the theological seminary and academy. Haven’t you ever been looked at as an upstart by your older, more experienced colleagues? – No, there was nothing of the sort, although I would agree that the situation was unique in a sense. To my recollection only Metropolitan Peter Mogila in his day led the Academy in Kiev at such a young age. But that does not really matter, though. I returned to my alma mater, which I graduated from shortly before that. I was appointed to govern my former teachers, among them lecturers who had been students of the St. Petersburg Theological Academy before 1917. They were people of tremendous experience and knowledge. Now all of a sudden a very young man, their former student, becomes their chief! A no simple task it was. 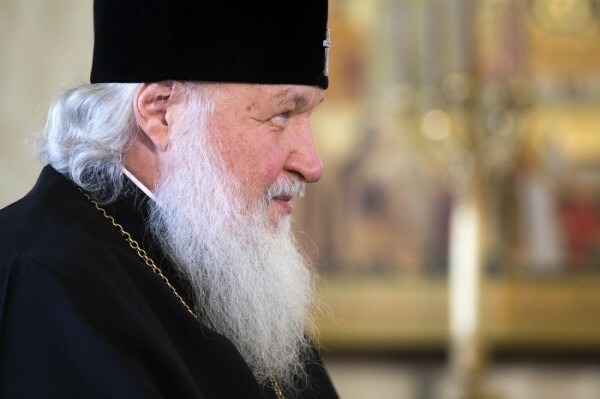 – As I have already told you, I was obeying Metropolitan Nikodim’s instructions. He set a deadline for me, and I was trying to meet it by all means. In the meantime, some of my teachers had thought I would be playing the fool at the exams and using the name of my high-ranking patron as a shield. – So they tested you in earnest, I guess. – To say the least! I remember one such occasion. A teacher of mine – I would not mention his name: he is still with us and a very worthy teacher he is… He told me in a rather confidential manner: “You don’t have to study all materials of the course. It’s going to be too difficult and time consuming for you. I know how very hard you have been working. Study well just one theme. I will not be asking you any other questions.” I thanked him and bowed out. But when I came home, I told myself: “Listen, man. Of course, you must be grateful for such a gesture of sympathy, but what you really need is knowledge, and not a good mark in your record book. So I thoroughly studied every single item on the question list. And at the examination that same teacher interviewed me for about an hour and a half. He rained me with questions covering the whole course, from beginning to end. Not the slightest smile ever touched his lips. All proceeded the way it should. I got the highest mark in the end. But, the most important thing of all, later he must have shared the impression of my readiness with his colleagues, because at all other tests the examiners were far less strict. They really believed that I was studying in earnest, and not hopping from course to course and from year to year. – When you got back to the Academy in the capacity of its rector, did you use the chance to retaliate the breach of the deal? – Of course, not. The other way round. I made some arrangements to commission that lecturer’s chair to do the maximum amount of translations of foreign books. No theological books were written and published in the Soviet Union in those days. There were great problems with original sources. In fact, I opened an underground translation office. The most important texts printed abroad were included in the instruction programs. Incidentally, I felt an echo of that affair when the question of my expulsion from Leningrad was being decided. – Your family suffered considerably from the Soviet regime, beginning with your grandfather who was imprisoned twice. – Actually three times. He was first imprisoned in 1922 in the process of seizing valuables and the struggle against Church Renovationism. I can’t say exactly how long he was held at that time. Apparently, not very long because I have not found documents anywhere about this jailing. It was only when he was questioned as part of the second case against him that my grandfather was reminded of his first prison term. He was then sentenced to five years in prison, which he spent in Solovki (the prison on the Solovetsky Islands in the White Sea) and other prison camps. My grandfather was arrested for the third time in 1945 and was imprisoned until 1953. My mother and I went to meet him at the Moskovsky railway station of then-Leningrad. – Did your father suffer less? – Did your grandfather and father tell about GULAG? My father also told about what he had lived through but in a somewhat different tonality. He was sent to prison on the eve of his wedding, virtually several days before that. But this circumstance didn’t break him down and he remained full of strength and energy. I read about this in a diary of a Smolensk resident who had been convoyed together with my father in a Stolypin railway car (originally, railway carriage during the Stolypin reform in tsarist Russia for massive resettlement of peasants in Siberia, which was used after the 1917 Bolshevik Revolution for transporting large numbers of incarcerated convicts) to Kolyma. I received the notes from that man’s son, a local theater actor. My father remained in that man’s memory as a wondrously bright and joyful person, as if he were going for a pleasure trip rather than to a prison camp, from which he might not return. I can recall that my father, indeed, spoke about his calm state as he had not breached any laws and felt no guilt while he perceived hardships and griefs as sufferings for the faith. This consciousness added strength. – Your father was arrested for writing the word “God” with a capital letter in his notes, wasn’t he? 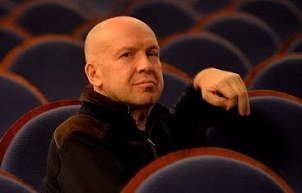 – He was jailed because such was the plan of the Leningrad authorities of that time who took advantage of the assassination of Sergei Kirov (the first secretary of the Leningrad branch of the Communist Party) to quietly eradicate the Orthodox Church’s youth and intellectual activist group in the city. The authorities carried out a wide raid campaign, arresting a lot of people and bringing completely idiotic charges against innocent victims. They said these people were allegedly part of the Anglo-Turkish plot designed to destroy the Soviet regime with reliance on white émigrés represented by Metropolitan Evlogy of Paris, the Archbishop of Canterbury and the Patriarch of Constantinople. – But this is not the most striking thing! I read the materials of the case and never ceased to be amazed by how smoothly the repressive machine worked! If I had not known how things had been in reality, I would have surely believed that this was true and a monstrous conspiracy was uncovered. Outstanding people of Leningrad, including former professors of the Theological Academy, wrote terrible things about themselves, confessed to the wildest crimes, which they could not commit in principle. I don’t know, possibly these confessions were forced under torture or by threats and blackmail but the materials I read produced the gravest impression on me. The point is that it would have never come into the mind of any investigator to link together Metropolitan Evlogy, the Archbishop of Canterbury and the Ecumenical Patriarch! My father was charged with an attempt to kill none other but Stalin. He was arrested together with other parishioners at the mission of the Kiev-Pechersk Laura in Leningrad. My father studied at an institute and went to a church during his free time. On Sundays, he sang in an amateur church choir, which was the place where he actually got acquainted with my mother. The investigation subsequently explicitly wrote down what each group of plotters was doing and was responsible for. According to the investigation, the community of the Kiev-Pechersk Laura’s mission was assigned the task of preparing the assassination of the leader of the working people. The investigators made a search in my father’s house but, naturally, found no incriminating evidence. They came across his notebook with lectures where the word “God” was, indeed, written with a capital letter. This was enough for passing a guilty verdict. And that was it. My father spent three years in Kolyma. – Did the bride wait for him? This is yet another example of God’s interference in the life of our family. – Did you realize that you may follow in the footsteps of your grandfather and father? A prison term. – I did not prepare myself to be a victim, but I never said never. It would have been a pity to lose years of freedom but I was well aware that the probability of that outcome was great – fifty-fifty. Especially amid Khrushchev’s persecution of the Church, when I actually decided to go to the seminary. 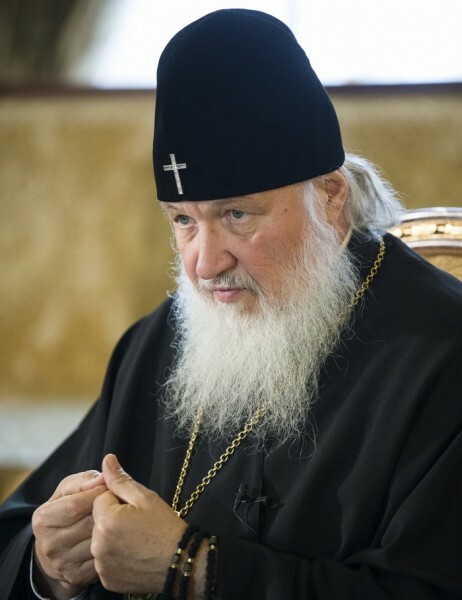 The authorities were massively shutting down churches and monasteries at the time, finding any pretexts, which, as a rule, did not hold water, to launch criminal cases against the clergy, after which central newspapers carried smashing articles about “priests and their accomplices…” It was a tough fight. I certainly saw that and was aware of that, but I was taking the risk and was not going to change my life choice to adapt to circumstances. – But in school you refused to march in goose-stepping columns too? – Figuratively speaking… in childhood, it’s particularly hard to speak out against everyone alone. Certainly it required certain courage. My family was on my side, and I was raised in Christian traditions. At the same time, trials strengthened and eventually influenced the formation of convictions. I had to defend them, not only before my equals but before adults as well. I was repeatedly summoned to teachers councils and told that God does not exist, while I was trying to convince teachers of the opposite. That’s the way we lived. – You studied very well, but did not become a Pioneer. – I said at once that I was ready to tie a red scarf only on one condition: if I was allowed to go to church with it on me each Sunday. School authorities thought at first that I would not keep my word, and they will improve their statistics, which favored making all junior school students Pioneers. But then they realized that I will not miss church services and will not demonstratively take the scarf off. After that they said: no, you may not be a Pioneer. That’s what was decided. …In short, I did not acquire the ability to counter external influence yesterday. Of course, today you have to face challenges of a different scale. And this is also explainable. Each action causes a counteraction. Our Church has in recent years become considerably more active, and it causes strong irritation in people who prefer to live in a world without God. Because there are such people among them who believe that their idea of world order is the only right one, while all the rest is a mistake, fallacy hindering human progress. It does not mean that you need to create a Calvary with your own hands and heroically ascend to it. It means a different thing: when you become a priest, you doom yourself to confrontation with a certain part of society. But it is important not to grow bitter in this confrontation. Dialogue with opponents should not destroy your own religious identity. It is bad when a cleric in a dispute starts using words and terms which are not authentic for a Christian. And if you speak showing respect for people – even if there are deep-rooted sinners in front of you or those who don’t like you personally, if you avoid insults and making personal remarks, if you try to formulate your life view so that no one could dismiss it without hearing arguments for it, then the result will be different. The Church today has to participate in the public discussion, it is called upon to unite people. Sometimes we are scolded for not being principled enough, according to critics, when we speak about the Ukrainian conflict or our domestic situation. They say: “How can you keep silent, take a compromise position? You should fight…” followed by a list of who we must immediately fight. Enemies are listed depending on preferences of those who suggest this role for us. We respond to opponents that the Church’s key task in the public space is to preserve society. The state, as Vladimir Solovyov said well, can’t make this life heaven, but its key aim is to prevent it from turning into hell. But as for the Church, it can and should work on creating God’s kingdom in people’s hearts. But we can’t use improper means even in the name of a good cause. This is a sin. – Ideally, moral authority should be based on holiness. You can judge that only on the basis of personal communication with the person. All the rest is the work of the evil one. Take startsy [spiritual guides]. Those who had the opportunity to get familiarized with them closely, state: these are special, unique people, who are holy. Unfortunately, far from everyone knows that, because startsy do not engage in self-promotion. On the outside, people may have a deceptive impression that the Church has a deficit of moral authorities. It’s not true. – Who is a moral example personally for you, Your Holiness? – It may sound not too modest, but I would say these are my parents first of all. They have had a great impact on my entire life. I owe them what I have managed to achieve. It’s sufficient to say that there has been no single conflict between my father and mother in our family. – Maybe you didn’t know? – We lived the five of us in a 19-square-meter room in a communal apartment in Leningrad. Parents, a younger sister, a brother. You can’t hide in such conditions. Everything is seen like during an X-ray examination… No, I recall now: there was once a household quarrel. Father was angry at mother for about three-four hours, and then it stopped, and peace set in at home again. Mother had the absolute moral authority. In the sense that she was unbelievably honest. Sometimes she corrected father’s behavior. She said: “Mishenka [contracted form of Mikhail], leave your diplomacy.” Father had to take into account the circumstances of life and build relations with others proceeding from that. Mother did not make any public demarches but decided on her own whether to shake someone’s hand or not, receive the person at home or not to let him in. It was very important. Mother embodied our family conscience. – What parent did you take after? – It’s difficult to say… I can’t even compare. I think they were so much better than me that any parallel will look as a compliment to my address. – But are there any persons for you who you wouldn’t like to shake hands with? – Of course. But due to my position, I can’t and will not demonstrate it. Besides personal likes and dislikes, there is a pastor’s attitude toward people. And the “non-handshakability” of this or that person may seriously harm him. I shouldn’t harm, my task is to help. – So you will at first shake the other person’s hand and then go and thoroughly wash yours? – I will try to do everything to shake the same hand next time open-heartedly. There should just be a chance. 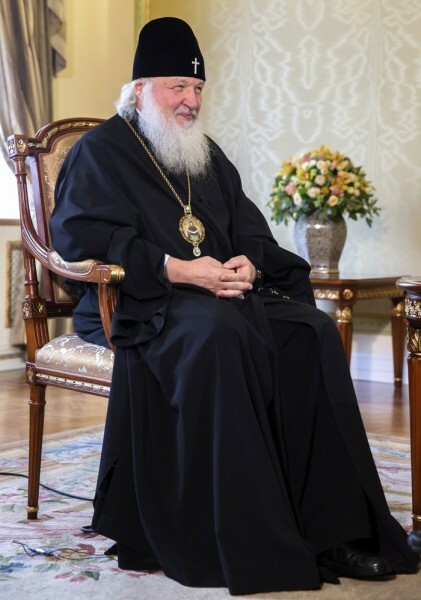 A position of non-acceptance is an excessive gesture on the part of the Patriarch. Even, I repeat, if the talk is about people who deserve to be avoided. – Do you happen to feel wrath? – This emotion is familiar to me, I won’t hide that. – Are you dreadful in anger? – The Apostle Paul said: “Let not the sun go down upon your wrath.” In other words, you shouldn’t be angry for more than one day. The apostle must have been a hot-tempered man too… I can’t hide that emotion either. If the situation annoys me too much, I need to have it out after which I calm down. It’s not a matter of upbringing or will, it’s in my nature. – What worries you the most now? – The situation in Ukraine, deaths of people have caused my sorrow for many months. This does not let me sleep – both literally and figuratively. – And the zone of influence of the Russian Orthodox Church in the neighboring state is shrinking fast. – I can’t agree. Indeed, churches of the Russian Orthodox Church are violently seized in Ukraine, unfair fight is being waged against us, but even this convinces people that their position is right. It was like that in Soviet time too, when churches were being closed and faith was getting stronger. Such methods will not achieve anything. This is a huge mistake on the part of those who declared war on the Church in Ukraine. Politics are currently actively mixed with religious matters. Schismatics hurry to seize the moment and make a repartition. But the more violence, the more resistance. Proceeding from prospects of reconciliation, we are calling on the conflicting sides in Ukraine to show prudence. The seeds of antagonism will grow with poisoned fruit in the future. The Church is doing everything possible to prevent the conflict from bringing new deaths. We do not exaggerate our capabilities, but we don’t belittle them either. – How do you see the development of the situation? – Our Church in Ukraine will remain, there is no doubt of that. There is no other way to overcome the current split than to take the path of canonical unification. Without that, you can’t speak of a nation’s unity either. Yes, the situation today is difficult, it will surely last for some time more, but all will end in peace. There have been such precedents in history many times. We just should constantly work, and that is what we all do. The Church is an instrument of peace. And justice. – The essence of the formula is that the choice I make as a youngster is the choice of what I will be at the age of fifty or seventy. When I was a young lad, I had to take a decision that would predestine my whole life in the future. I think no one who is decent and soberly minded will claim in the decline of years, even when he is alone with his thoughts, that he has lived a life free of errors or sins. And I won’t claim it either. But I never regretted my choice of service to God and to the Church. – Is the authority over others a trial test or punishment for you? – Authority can be perceived as a trial test, a punishment, or a gift. The problem is all these interpretations stay far away from the Church. Any clerical authority implies service, not possession, first and foremost. Service is what Jesus commanded to the Twelve. Do you remember the moment when He washed their feet and explained to them for why He was doing it? If anyone wishes to be first, he shall be the last of all and the servant of al. I perceive service in the capacity of the Patriarch as a sacrifice I must bring to the Lord and to the people every day. I often tell young monks that taking the vows for the sake of career growth is tantamount to madness and spiritual suicide. A rise in the Church hierarchy means a growth of one’s self-sacrifice and commitment, not a multiplication of privileges granted to those in command. More than that. One should realize that this sacrifice is not a forced one. It is a voluntary sacrifice that is made freely and even with gratitude. 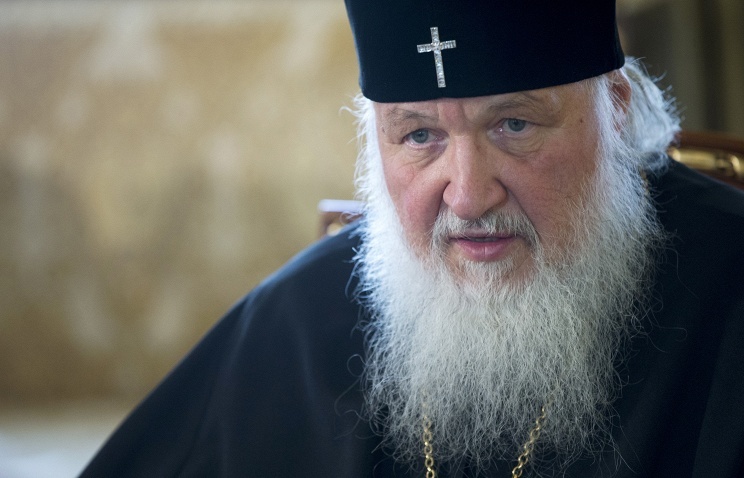 Why does the Orthodox Church entrust governance only to the bishops who are monks and not to married men? Because it is impossible to be torn between two families – the smaller family and the bigger one, which is the Church. Service requires your fulltime commitment without any diversions to private interests, entertainments, hobbies, etc., that are quite admissible in secular life. – About eighty percent Russians rank themselves among disciples of Eastern Orthodox Christianity. Are you not dismayed by the fact the occasional ‘droppers-in’ prevail in their ranks over parishioners? 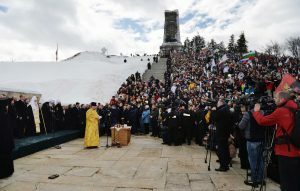 – For some Russians, Orthodoxy is a strictly religious category, while for others it is much more of a cultural notion. But frankly, these divisions are very tentative. The way I see the problem, the main thing today is not the size of one or another category but their dynamics. Man changes over the course of time. The answer to your question sounds like this – and any opinion poll or any scrupulous sociologist will confirm it to you: the first category (parishioners in your terminology) is growing constantly and this growth brings in predominantly the young and educated people. It is a good thing that a very considerable part of our fellow-countrymen associates themselves with Eastern Orthodox Christianity. All of them are members of our congregation, albeit with a different depth of religious practice, without regular church attendance, and with an irregular observance of the Church canon. Still they are far from hopeless. My heart aches for these people in the first place. I give my thoughts to how we can help them get closer to God, become rooted in the Orthodox tradition, develop stronger faith, get filled with the beauty our liturgy, and cognize the profound meanings of the Holy Scriptures. We can see the degree, to which the moods in society have changed over the past two decades. This is an objective and very gladdening picture. Everyone realizes clearly today the Orthodox Christian faith cannot be ignored in this country. This is also a big victory, a victory that would be impossible without contribution by each devout member of the Church, without the good endeavors that he or she implements at his or her proper place. Besides, sociology is not precise enough as an instrument for assessing a person’s affiliation with the Church and/or faith. Some people accept Jesus Christ only on their deathbeds and thus they do not have any time to tell the sociologists about it. Any person coming to the church makes us very glad because stands in line with Jesus’s behest. – It is nice to hear the accusations against the Church for maintaining fidelity to its fundamental principles. There is a clear space, within which we are not changing, and it is limited off by the Church canons and institutes of the creed. This is the space of the Holy Tradition and the Church stands on that foundation. Still, when we ask ourselves how one or another canon could be best applied in the conditions existing nowadays and what the efficient ways of familiarizing today’s young people with the dogmas of faith could be, we need a thoughtful and creative approach of the practicing professionals concerned about the situation. In this sense, the Church is transforming all the time. And as for comparisons between the Eastern Orthodox and Roman-Catholic believers, they are unrewarding and devoid of meaning by and large. They belong to different nations with age-old different traditions. Why the Great Schism – the separation between the Western and Eastern Churches — occurred (in the early Middle Ages) and where the real border, not the declared one, between the Western and Eastern parts of the Roman Empire ran in reality is a subtle historiosophical question. Each of us should focus on their own business and should not knock about in others’ yards. – Pope Francis spectacularly gave up his papal apartments in the Apostolic Palace and came to a meeting with Italy’s President in an economy class car. And the Ring of the Fisherman was cast of silver for him instead of gold. What do you think of this style of conduct? — I do not think I should comment on the style of conduct of the Primate of the Roman Catholic Church. And I am confident he would not make comments as regards me either. I have sincere respect for Pope Francis and for the fact he keeps up close bonds to the monastic tradition that molded him. – Well, let me put it differently. Do clerics have the right to stand out in terms of their affluence compared with rank-and-file people? – A cleric should be on a par with an average level of his laymen and this is normal. It is important to remember the majority of clerics are married men and quite often the fathers of many children. Do we have the moral right to compel them to live in poverty, even out of the serenest intentions? Obviously, we do not. Absence of neediness is a normal condition for living and this is what we daily pray for at our services. A priest’s family should have appropriate living standards so that he could give the bulk of his attention to the parishioners and to the problems of spiritual upgrading instead of immersing in the worries about daily bread. It is for this purpose that the parishioners give away slivers of their material well-being to the clergymen and thus take upon themselves a part of the clergymen’s daily material concerns. There is nothing bad in it. But it is a different story, though, if a priest indulges in secular daily routine and entertainments. However, the lay will unlikely follow a priest of this kind or help him. It is not for nothing that priests are said to be living in glass houses. – The Old Testament commandments did not have enough space for the one that would prohibit lies. Does it mean spreading lies is a smaller sin than larceny, murder or adultery? – But why? Do you not think the commandment saying ‘Do not bear false witness’ prohibits lying? The Book of the Wisdom of Sirach states: “A thief is better than an inveterate liar, yet both will suffer ruin.” (Sirach, 20:25). Jesus called devil straightforwardly “a liar and the father of lies” (John, 8:44). And the Apostle Paul’s Epistle to the Ephesians calls on all the Christians: “Therefore, putting away falsehood, speak the truth, each one to his neighbor […]” (Ephesians, 4:25). – The year 2015 started out with the killing of journalists of Charlie Hebdo magazine. The French responded to it by a manifestation in support of free press, in which three million people took part. Ramzan Kadyrov, in his turn, brought almost a million Moslems to the streets of Grozny to protest against the cartoons featuring the Prophet. Which of the two columns would you prefer joining personally? – I have fundamental objections against an unnatural and contrived division of society in this way as regards the Paris tragedy. We unambiguously condemn terrorism and killings of people for their convictions. We are grieving for those who suffered at the terrorists’ hands. But along with it we find both pseudo-religious and secular radicalism unacceptable, and we think the problems of inter-religious and inter-ethnic relations in the context of human rights deserve the closest attention and an extremely delicate treatment. Outrages on religion and defilements of religious feelings are inconceivable in the same way as insults in connection with someone’s ethnic identity are. Today’s Europe is choking with the scum which it churned itself as it strived to combine multiculturalism and liberal values. Thanks God Russia has enough common sense at the legislative level so as to prevent actions like publication of religious cartoons in the media. Regardless of what particular religion is concerned in each case. – And what about movies? ‘Leviathan’, a new film by Andrei Zvyagintsev has sparked harsh debates. It received the Golden Globe and was nominated for an Oscar, but here in Zvyagintsev’s homeland the Russian Orthodox activists urged the authorities to strip it of the running license and dismissed it as the plot of a Russophobic politically motivated order. Others said ‘Leviathan’ was an anti-clerical movie, not an anti-Church or anti-Orthodox one. Do you think fighting with clericalism is work in God’s name? Does the Church have the right to claim the role of the fourth estate? – I cannot discuss a film that I did not see myself. That is why I do not have any immediate impressions or sensations from watching it. I would only like to say that any artists claiming the right to free creative expression must be prepared to meet face to face with the freedom of criticism of what he is doing. If we defend the importance of a free discussion, we should realize that, on top of bombastic complements, we can also hear highly unflattering opinions. As for the fighting with clericalism, let us call a spade a spade. Before you plunge into fighting against something, make sure that the thing you are going to fight with exists in real life and not only in your consciousness. What clericalization of society could we possibly speak about today when the majority of schools will not let an ordinary priest come in? No doubt, some people are exasperated by the fact the clergy has stopped being a marginal group in society. But clericalism is something entirely different.